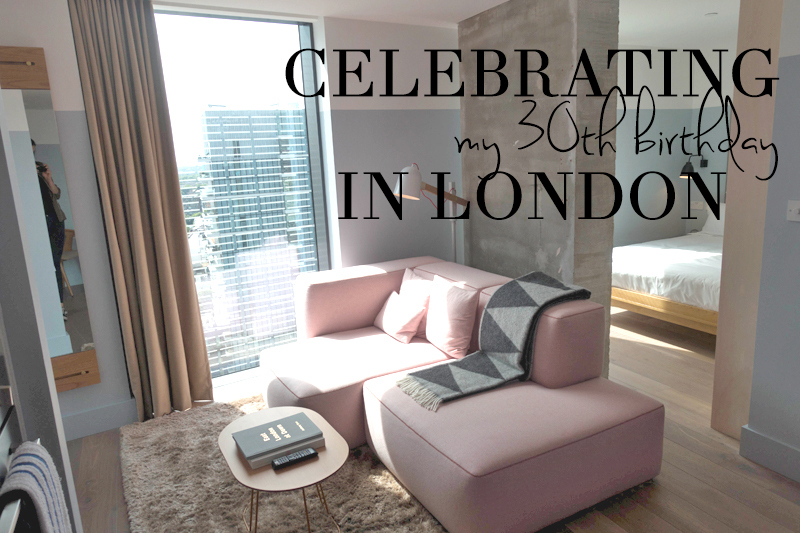 We weren't originally planning for a city break this summer as we have a big trip to Japan coming up later this year, but as I was turning thirty and actually love birthdays (including turning thirty -how awesome is that?!) I really wanted to spend it somewhere special and close to my heart. I obviously did not have to think twice about where that should be: London has my heart, always. 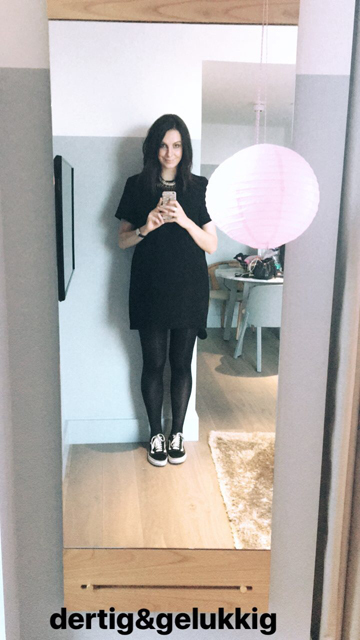 Small warning: this is going to be a picture heavy post! 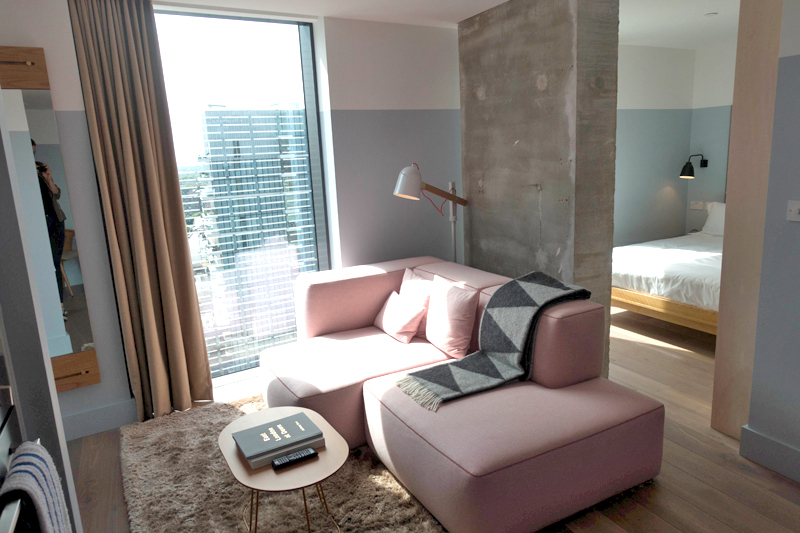 We love to check out new hotels every time we're there, ranging from budget friendly to splurgy chic. 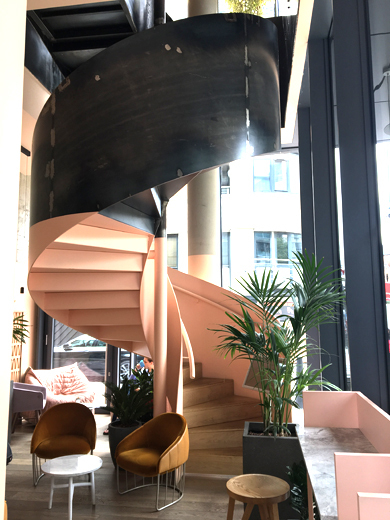 While browsing Tripadvisor I stumbled upon the fairly new studio hotel "Leman Locke", which is super conveniently located in Aldgate East and has studio rooms fully equipped with a kitchen and living room area. And it did not disappoint! We opted for a room on one of the top floors because we love skyline views. The sofa is usually located next to one of the windows, which makes it almost irresistible to cosy up in the sofa with a glass of wine/beer/whatever your choice and gaze at the city views. We didn't really use the kitchen, but as we mentioned on our reservation that we were celebrating my birthday the Leman Locke hotel was so kind to put a complimentary bottle of bubbles in our room, so we were happy to be able to use the glasses. On our first day we started out with a little planned shopping to get that part of the trip out of the way immediately. 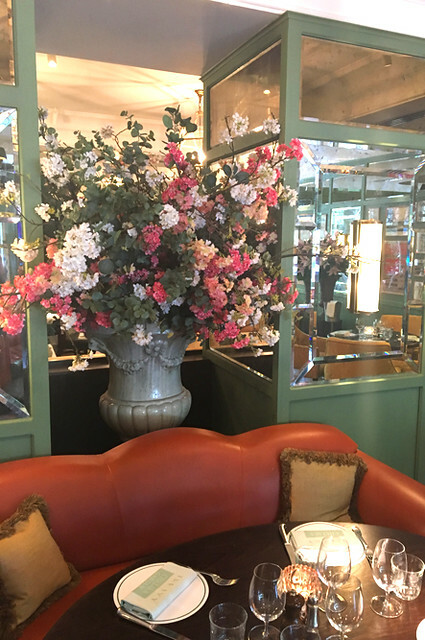 Whenever we're in the proximity of Oxford Circus, we love having lunch at Ethos. Ethos is a delicious vegetarian buffet restaurant where you pay by the weight of your plate. It's not super cheap, but it's delicious and there's so much choice! I already wrote about Ethos in this blogpost too. 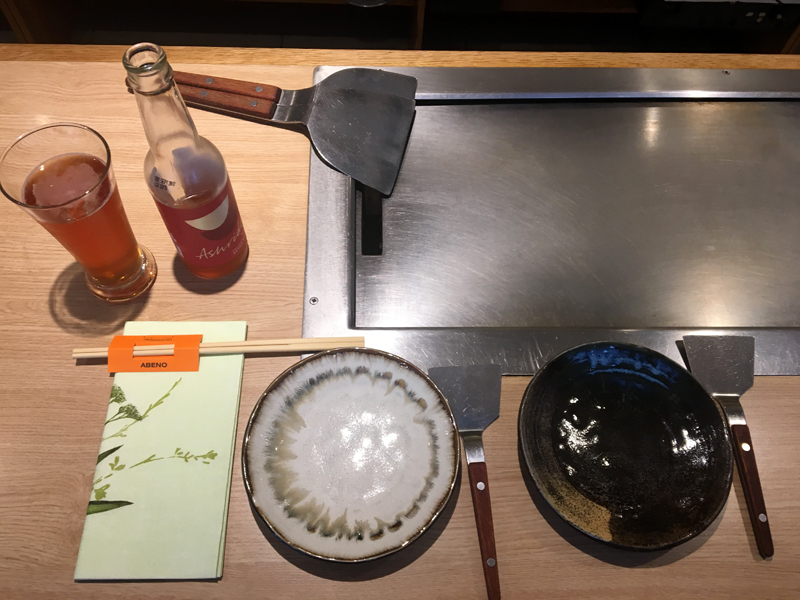 In the evening we had okonomiyaki for dinner at Abeno Too, a Japanese restaurant in the Covent Garden area that has hot plates on the tables and at the bar for traditional okonomiyaki, a type of savoury pancake that is very popular in Japan. Even though I've already been to Japan and have visited many Japanese restaurants all over the world, I had never eaten okonomiyaki before. I must say that it is SO delicious and definitely makes for a fun night out! Afterwards we got a bubble tea to go from Happy Lemon, one of the bubble tea shops in the neighbourhood, and did some shopping in the China Town. 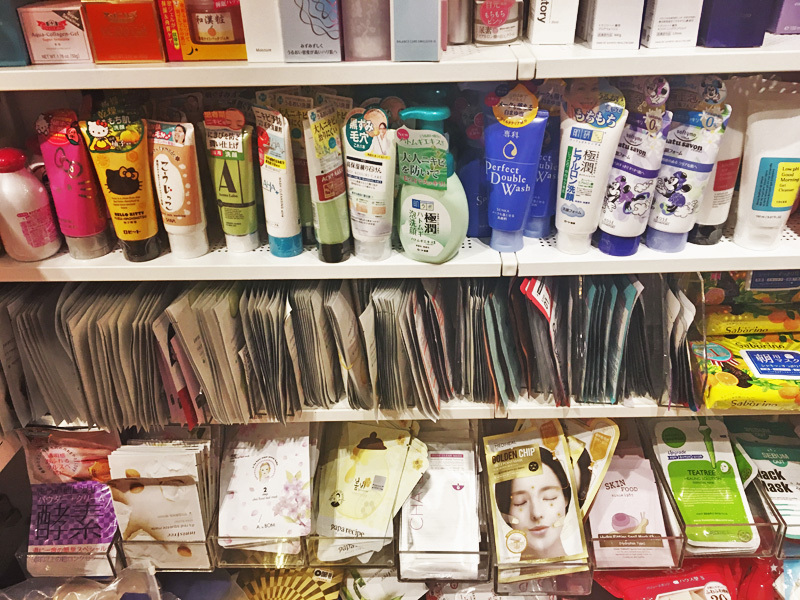 I found a little asian skin care shop called P2bus ("proud to be us") that had a huge assortment of sheet masks available, as well as a lot of other Japanese and Korean makeup and skin care items. 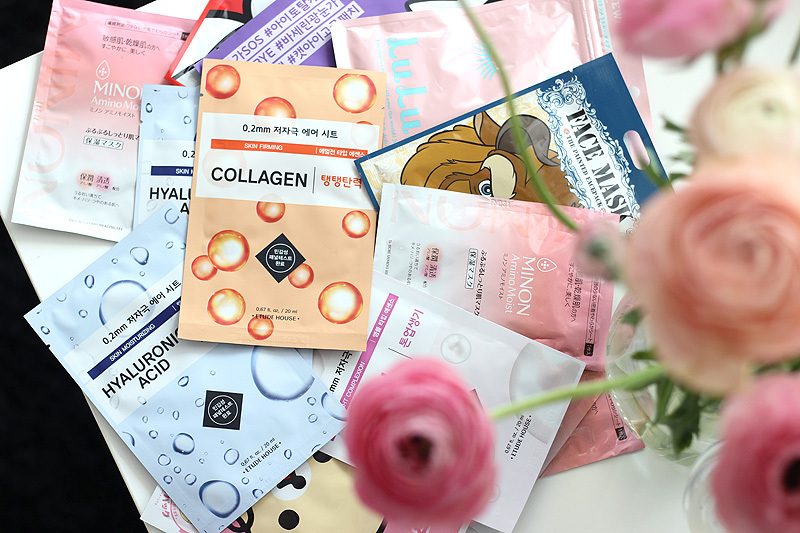 A little overwhelming, but fun to browse through! 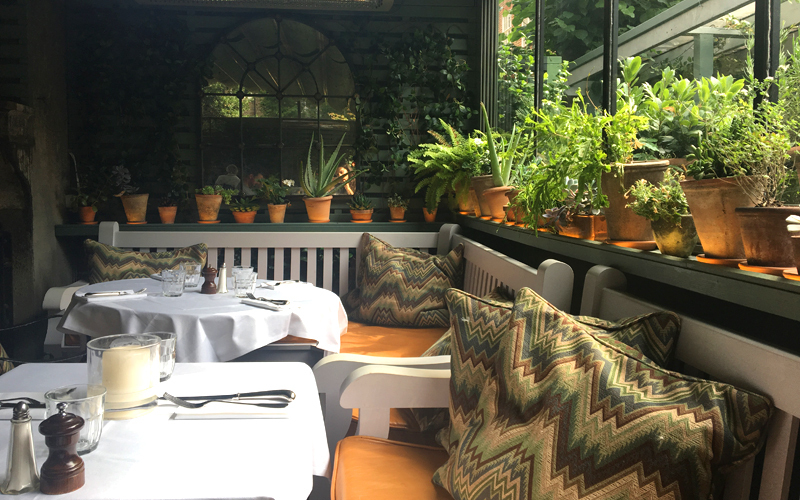 On the second day, for my birthday breakfast I made reservations at the Ivy Chelsea Garden a month or so in advance. This place can get fully booked quickly, so I didn't want to take any chances. I love the green decor and the delicious breakfast dishes! 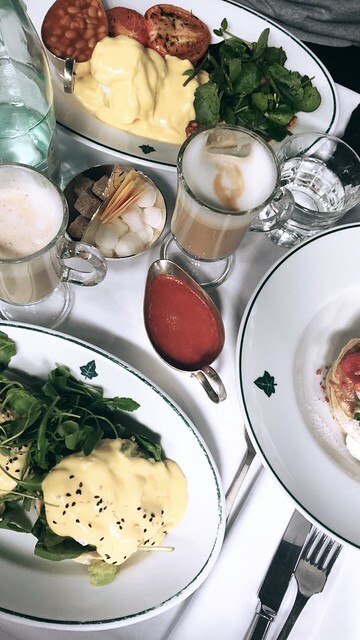 Definitely a recommendation if you're visiting London and fancy a luxurious but still relaxed breakfast. We spent most of the afternoon discovering more of Chelsea and a lot of walking. 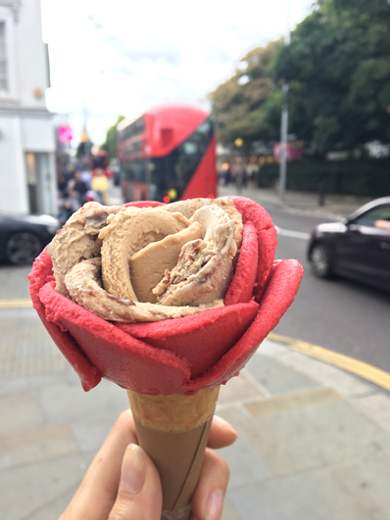 We did some light shopping, visited Saatchi gallery, the V&A museum, Harrods and got a yummy rose shaped ice cream at Amorino. We finished the afternoon walking back to the hotel through London city, where we did some Pokémon raids (yes, I still play Pokémon Go!) and exploring. After a small nap, we headed out to Honest Burgers for a delicious cheeseburger and some well deserved birthday drinks. 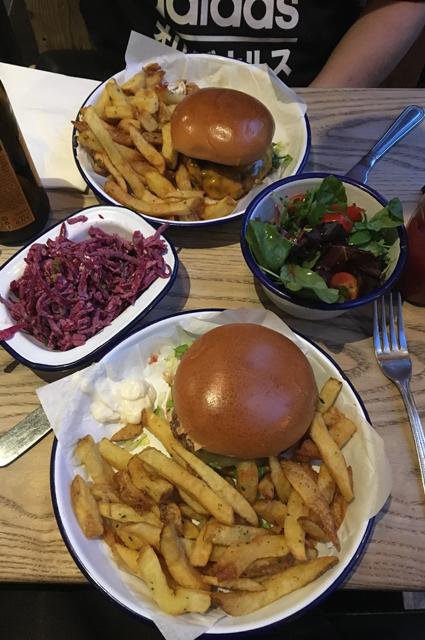 This burger place is another one of our usual favourites, read an older blogpost featuring Honest Burgers here. The burgers are really good and tasty (we don't eat meat very often, so when we do we like to eat something worth it!) and the fries are delicious. 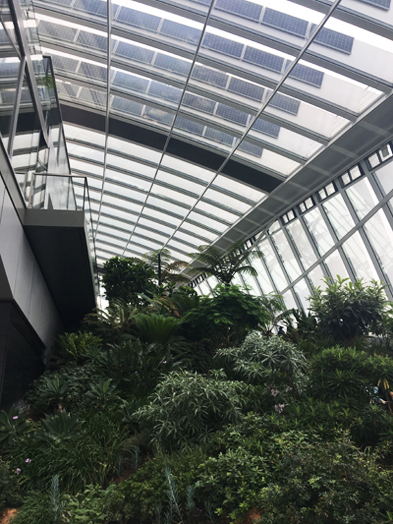 We started off our third day in London with a breakfast at Rhubarb in the Walkie Talkie building. 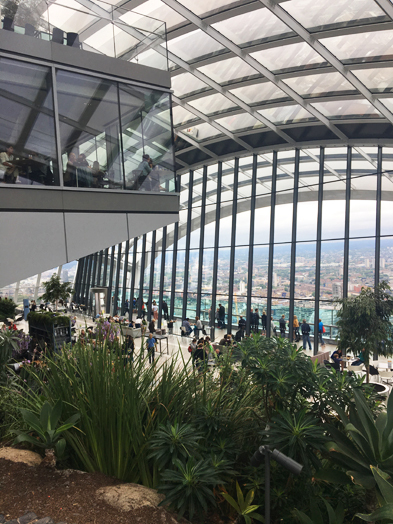 Our sole reason for choosing breakfast here was access to the Sky Garden and some amazing London views, which you can't access without a reservation. You can also make online reservations only to visit the garden, but they sell out quickly so we had no other option than to book breakfast here. I wasn't really amazed by the food, so if you can I would definitely try to eat elsewhere in the building or stalk the website for free access tickets. 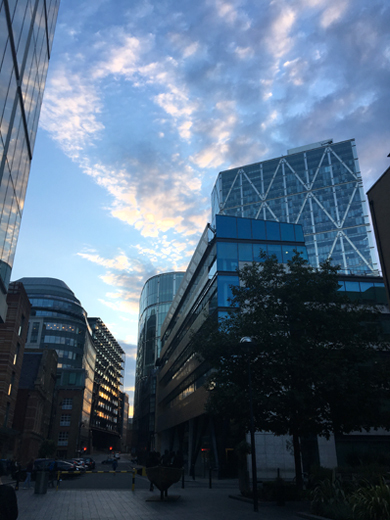 We spent the afternoon visiting the Barbican centre, visited the Into The Unknown science fiction exhibit, did a lot more walking through the City, to Shoreditch Park and then went biking back via Spitalfields, the Old Truman Brewery and Brick Lane. 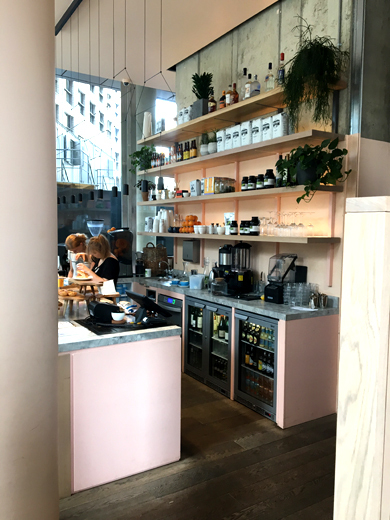 We bought donuts at Crosstown Shoreditch (which I can recommend, so yum!) 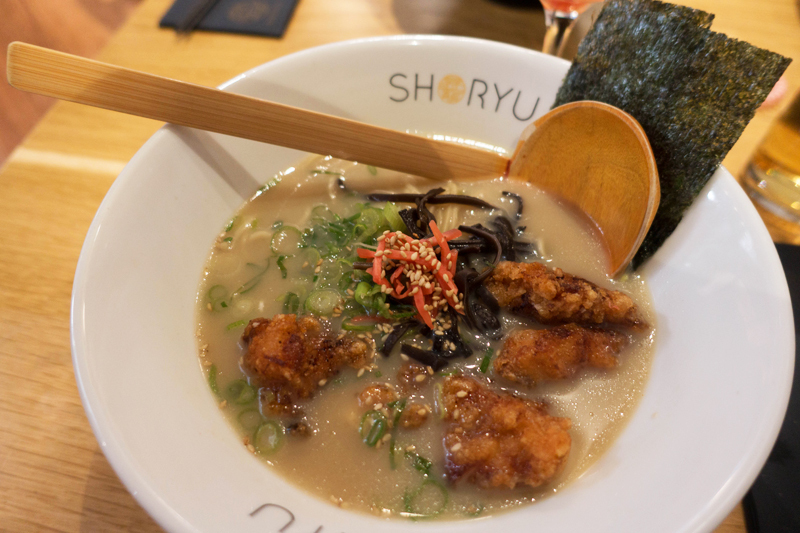 and eventually ended up having ramen for dinner at Shoryu. SO good! 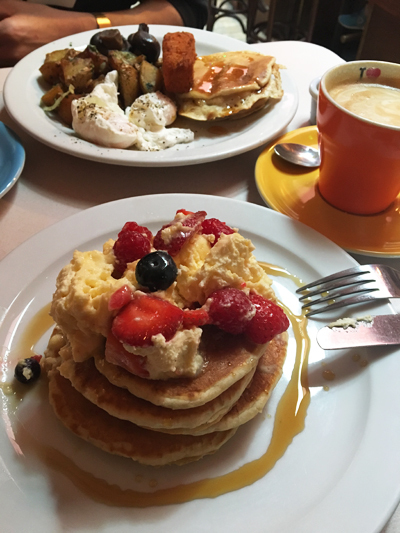 On our last day we immediately rented a Santander bike and biked towards Breakfast Club, for one of my favourite London breakfasts. The pancakes with fresh fruits and vanilla cream are the best! During weekends you might have to stand in line outside for a table, but during weekdays you usually get a table pretty much immediately. 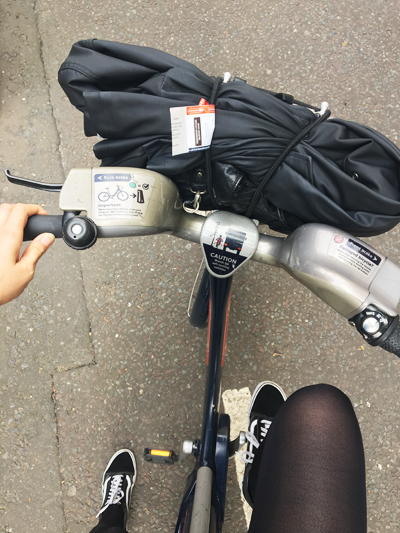 I can really recommend renting a bike in London and discovering the city this way. 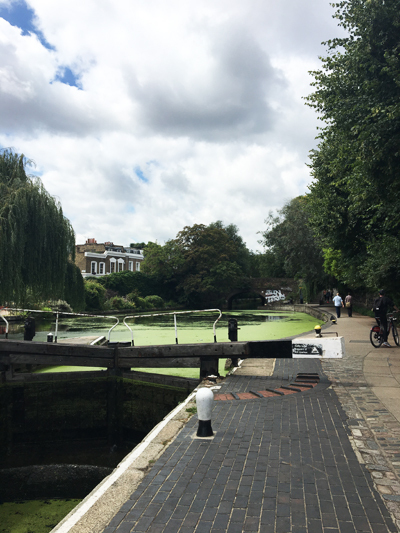 One of my favourite bike rides is just following Regent's Canal and dock your bike back in wherever you like. 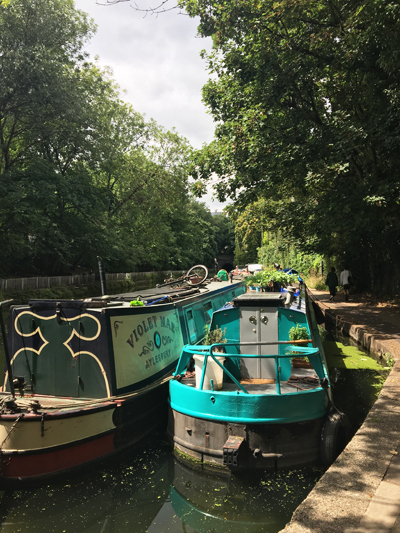 We biked up until Angel, did some window shopping there and then took the tube towards Notting Hill where we had a light late lunch at Tonkotsu and did some more window shopping and enjoyed the beautiful weather. Unfortunately this is where our city break ended.. It's always a tough choice deciding which areas to explore, where to eat and what activities to do. London is such a vibrant city, there's always more to discover. And that's exactly what I love about this city. I'm already longing for the next trip!